It's been frustrating to start everything from the beginning in your chrome browser. Means, you have to type and open the websites again if you have closed your chrome browser either accidentally or intentionally. This happens because your browser settings are not set to restore tab lastly open in chrome Window. Follow the easy steps showed below to set your Chrome to restore tab where you've left off. 1. Click on wrench menu at the top right corner. 2. 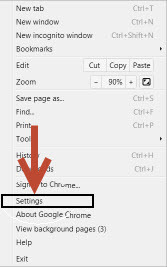 Click on settings to open the Chrome settings tab. 3. Under 'On Startup' tab, click the radio button stating 'Continue where I left off'. 4. Close the window and restart your chrome to see changes. There is also an option to open any specific page you like such as Facebook, Google Plus etc. This one is the most basic setting but novice users like you have hard time to find these settings. Good luck with your chrome. You can find one more interesting post to make your Chrome super fast and full of valuable add ons. Check out my latest post ..Top 10 Must have Google Chrome Extensions. Picking a browser isn’t easy and picking which add-ons to install isn’t any easier. For those with Google Chrome, the choices can be overwhelming. PC World estimates that over 300 extensions are launched on a daily basis. While digging through pages of extension can help you discover hidden jewels, this list will give you the Top 10 extensions that frequently appear of people’s “must have” lists. 1. Adblocker Plus: While Adblock is the most popular Chrome extension, Adblocker Plus will give you a little something extra. This extension blocks every ad (videos included) on every website that you visit. 2. AddThis: While sharing links to videos and links can be a bit of a pain, AddThis will make it much easier for you. This extension will allow you to share the desired content to popular sites as well as bookmark, translate, and print the pages. 3. Web of Trust: While this extension won’t block websites for you, it will give you the choice to proceed into or forgo entering a website using a scorecard that lets you know how trustworthy the site is regarding privacy, child safety, vendor reliability, etc. 4. Shareaholic for Google Chrome: If you’re like most users, you will have an account of various social networks. The extension will allow you to access networking sites such as Gmail, Facebook, Twitter, Reddit, and LinkedIn. You can share, save, or email the page you’re on to whichever email or social network you desire. 5. LastPass for Chrome: Have different passwords for numerous sites? This extension will not only help you remember which passwords belong to each site, it will also make them more secure. It will allow you to import and export passwords from various password managers. 6. Google Dictionary: This Google produced extension will allow you to use the definition of a word without having to leave the page. It’s simple, it’s easy, and it will save you the trouble of having to look up the definition elsewhere. 7. Xmarks Bookmark Sync: One of the more popular extensions for bookmarks, it allows users to sync their Chrome bookmarks with those from other browsers and computers. There is also a privacy feature which can be used to keep bookmarks private on one computer while allowing the rest of them to sync on other computers. 8. RSS Subscription Extension: I know, it should already be included with Chrome but it isn’t. This extension will allow you to subscribe to the feeds, as well as the reader, of your choice. 9. IE Tab: This extension is designed to help you view websites that work best on Microsoft’s Internet Explorer without having to actually use IE. 10. Add to Amazon Wish List: We often find products that we would like but are unable to afford at the moment. With this extension, you can create a wish list of items you would like from various websites, saved onto a single list on Amazon. AUTHOR'S BIO: Ian Butler is an IT expert and after finishing Microsoft courses. he has dedicated his time to learning more about all the new things in the internet world. He hopes to get a job in Google one day. Business broadband network technology makes modern business communication highly efficient. There is now an ever increasing demand for fast, real time, digital information transfer in most businesses. You therefore need a high speed telecommunications network to meet the demands of 21st century business communication. Read on to discover the essential functions of a business broadband network and the important characteristics of a broadband service provider. A high quality business broadband network will provide high speed connection for all your offices and branches. It will also give you an extremely fast internet connection. This is vital for efficient real time document transfers and for uploading and downloading of multimedia content. Modern business communication is now done online more than 70% of the time. Emails, online chat, real time transfer of documents and multimedia content are now a common characteristic of today's business communication. And they cannot be handled effectively without the high speed connection that business broadband offers. A flourishing business will expand and require proper online connections between its new offices and branches. An effective business broadband network will make it very convenient to connect these new offices to the existing ones quickly and in a cost effective way. A professionally designed broadband network will help your business to minimize communication costs. This is because fast and efficient communication will help you to get more business done in less time. It will also minimize the cost and time required by physical movement of personnel. Business broadband also provides the opportunity to introduce innovative services. These services include: video conferencing, webinars, live streaming of multimedia content etc. Regulatory agencies have technical regulations that control the installation and use of telecommunications equipment. An efficient broadband provider would provide services that are in conformance with government regulations. This is very important because violation of government regulations could easily lead to confiscation of expensive communication equipment. A good broadband provider will help you to connect offices and branches of your business in different locations with fibre optic technology. Fibre optic network installations usually require the input of highly skilled engineers and technicians which are employed by efficient broadband network providers. A proper assessment of your company's information and telecommunication's network is essential for effective broadband deployment. This can only be done by a competent broadband provider. After your communications network is assessed, your broadband provider can help to modify or re-design it for more efficient communication. 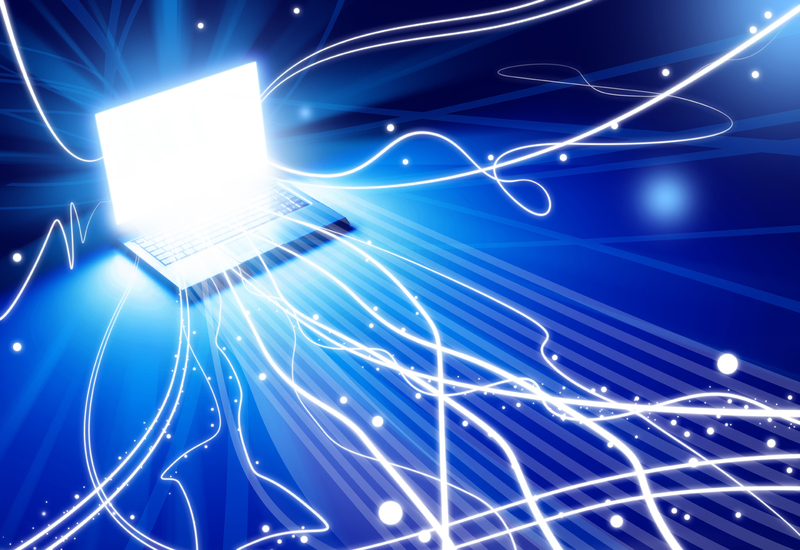 One of the important services that your broadband provider must provide is network expansion. As your business expands, your communication network also needs to be expanded. You should therefore ensure that your service provider has the capacity to help create a wide area network that will aid business communication between new branch offices. Author Bio: This article was written by Zac Grace on behalf of Spiderbox, Business Communications expert. Exciting news: PCWinSoft is giving out free copies of 1AVCenter, the video and audio recorder, broadcaster, secure file sharer, and remote surveillance monitor software. The price of 1AVCenter is $99.95 but in this exciting promotion you get it for FREE! 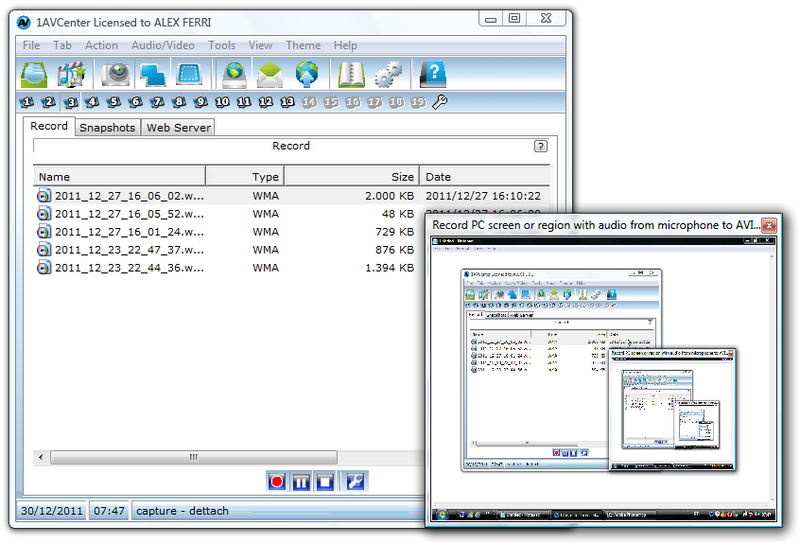 1AVCenter is like a swissknife for your audio and video. You gather a video source plus an optional audio source plus a task and you got a task running, but not to worry: 1AVCenter detects the hardware you have installed and right out the box it will present you with a list of tasks ready-to-run for your PC. 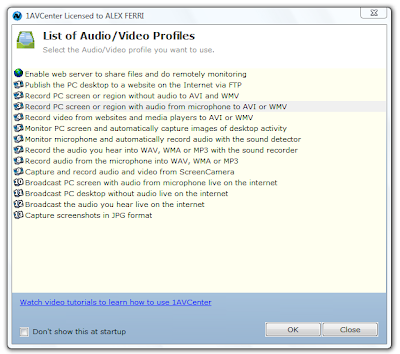 1AVCenter is a complete audio and video center. Tucows rated 1AVCenter with 5 cows. What can one do with 1AVCenter? 1AVCenter connectivity options start with the fact that the program publishes a secure 128-bit encryption protected website for you to share files securely over the web with your friends and co-workers, it is a safe way to share exe files. It does not stop there: 1AVCenter comes equipped with an e-mail sender and a FTP uploader so you can send and share files using different protocols. Despite the brutal amount of tasks 1AVCenter can handle it is well designed and wizards make it all too easy to setup any giving task, and as a plus 1AVCenter works with profiles, 19 of them, that you can switch from one to the other with the click of a button, so you can have a profile to record narrated tutorials, and another to broadcast the microphone, and you can go from one to the other with one click of a button. 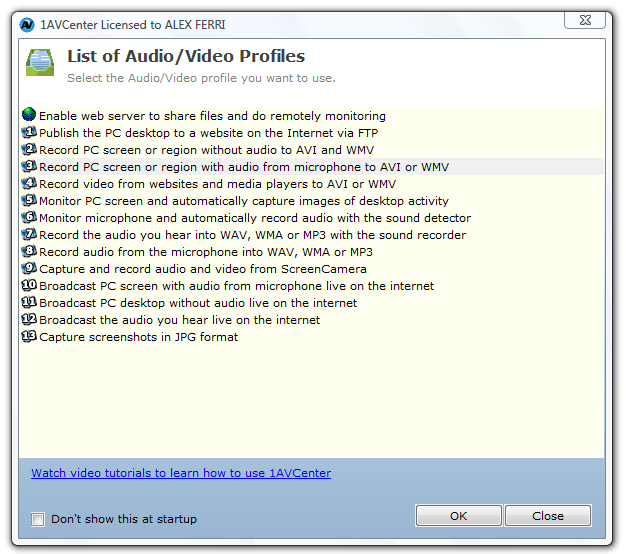 1AVCenter can be set to start when Windows starts, it can be set to run on all user accounts for monitoring tasks, and it has a stealth mode in which it vanishes from the user’s eye hiding itself even on the task manager which is perfect if you want to do remote video surveillance of how your PC is being used when you are not around it. 1AVCenter will run on 2000/XP/2003/Media Center/Vista/Windows 7/Windows 8 and requires at least a 1.3gHz processor and 256mb of memory. MS Access vs. MySQL - Which is the Right DBMS for the Job? Let’s say you have a need for some small-scale relational database work. You do your homework and everything you see keeps bringing you back to the same choices; Microsoft Access or MySQL. While there are other choices out there, these two products seem to be the first or second people consider for a relational database platform. Now that you have narrowed it down, let’s look at how these long-lasting heavyweights stack up so you can pick one. First, let’s take a look at cost. As with all Microsoft Office products, Access pricing is based on whether you buy it standalone or as part of the Office suite. In the most common configuration, Access comes as part of a ‘professional’ suite package. Those start at about $200. You may find it cheaper if you can use a Microsoft educational license but if not, you probably want to budget for that number. One of the benefits of Access is that it is ideal for someone to use to develop simple databases and publish them to a web host for end users to access. This is a common use of Access in corporate environments. MySQL, which at one time was the most popular free-to-use open source database now charges for the privilege. The database has several variations (Standard, Enterprise and a Clustering edition) with the Standard edition costing $2000. Yes, that is an extra zero when compared to the price of MS-Access. There is a significant difference in price but there is also a significant difference in the capabilities of each product. Access works with the Windows operating system. You can create databases that are accessible through various interfaces on other platforms but the database creation and management tools are strictly Windows. MySQL works with many more operating systems. Mac OS, Windows, Linux, and BSD are just a few of the operating systems that MySQL will allow you to work in. One benefit of being open-source is that developers can easily create variations based on operating system needs. As operating systems (particularly Linux flavors) come and go you can feel pretty certain that MySQL will satisfy the need to work on various platforms. Access has a simple, easy to use graphical user interface. MySQL is easier out of the box as far as setting up a quick database but beyond that, the interface is not as intuitive as the one for Access. Access provides 'wizard' type features that you expect from Microsoft. This is a particularly important feature to the many network managers and support people who only develop and maintain databases occasionally. MySQL is easy to use as well but you should be proficient in SQL database structure and processes before tackling the program. In the area of higher end functions, MySQL is dominant. Access does not allow for merge joins, MySQL does. Both allow for inner and outer joins. MySQL offers native network encryption as well as functions, procedures and triggers. Access does not offer any of these. Not to diminish what is a powerful and wildly successful product but Access is geared towards client side database management while MySQL is a full featured RDBMS intended for scaleable server operation. Which one you want to use is largely dependent on your budget, your experience level and development needs. Victor is a regular contributor of Techie-world, who enjoys sharing tips on tech-related issues. He is currently involved in currently access to mysql converter development. With plenty of experience as a consultant he contributes regularly to several tech blogs and publications. Data plays an important role for businesses and home user to refresh their old memories or deciding crucial strategies to beat the competitors. In year 2012, 54% of business has been put out of market due to loosing their important data, report says -Source (DataLossDB). Data loss event can strike at any moment and won't give prior information as well as make users unable to reclaim their data, either using data recovery software or services. However, deciding better data loss prevention strategies could minimize data loss situations and makes your data available even if major disastrous situations arise. Since from childhood, we continued to listen about taking data backup but these traditional ways aren't effective anymore, at least in today's world where your system can be hacked at any moment or your hard drive can become damaged before signifying any errors etc. Cloud hosting data would become the fist choice of every business which provides excellent faulty tolerance capability, data availability & portability, free from corruption etc. Anyone could cloud store their data for free (for certain size of files) or by paying money (For storing large amount of data). Here, you can find the list of top 5 reasons about why you should choose cloud hosting facilities. Commonly used storage media devices won't provide any data prevention guarantees as every electronic device wears out as time passes. Cloud hosting options will store your data on network attached storage (NAS) devices which saves your data in fragments and distribute your data to more than one devices. As results, your cloud hosted data will remain same even if server side failure occurs. Your data were ready to use wherever you go using networks. You don't need to have extra device such as external storage device to access your important data. Cloud hosting gives your data security, a step ahead than normal antivirus program. Hackers or eavesdropper can't theft your hosted data in any way as well as won't able to make it corrupted. This is the most talked and famous features that every user would seek and found helpful. User can store and share their cloud hosted data with anyone they want. Yes offcourse. 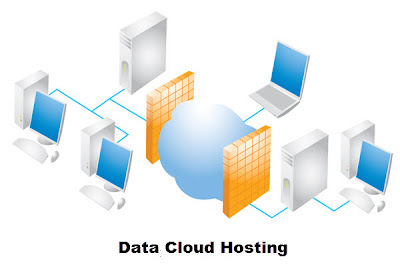 The most desired features that you would accept to have from cloud hosting provider. Store your data in safe, fast and efficient manner. Hard Drive remains to be the most famous and traditional medium of storing data inside the system over other storage media devices such as flash drive, USB, removable media etc. Unlike it's benefits, there is some nightmare which needs to be addressed from the user end to make their hard drive data available always such as protection plan against hard drive failure or damaged cases & loosing hard drive data. 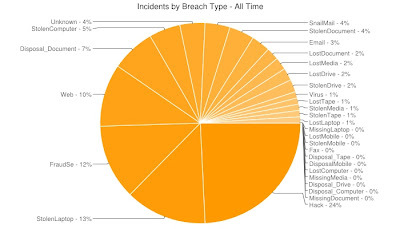 Among various data loss cases, hardware failure reserves the top position among famous reasons of data loss followed by hardware failure- DATALOSSDB Says. Failure do exist and often occurs within the users PC without notifying any errors or warning messages. Among different hardware parts, your hard drive have the higher probability of being failure and might give you no chance of recovering precious data from hard drive. So if you hadn't taken any backup or cloud hosted your data, do that immediately. Below, you will find common causes of failed hard drive which yield data loss circumstances. Improper power supply can cause hard drive equipment's to become failed or stop working properly. In most cases, this happens due to of not using any reliable source of power supply. Hard drive is an electronic device and stat to wears out as time passes such as failed platter, spindle motor, head crash etc. After which, hard drive stops to perform normal read/write operation as well make your system completely unbootable. Human itself responsible for making wrong attempts while using the hard drive and make them damaged such as corrupted file system, misconfiguring the BIOS etc. These attempts were reversible but become the reasons of loosing whole your data. List of viruses were created every day to steal confidential information by altering the system configuration. It alters the system files and modify system registries which makes your system inaccessible. 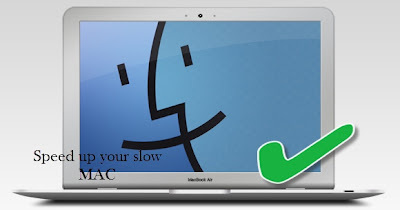 MAC computers have bunch of features, utilities to make it look attractive and running well for a longer period of time. Though, I've found many users complaining about their slow MAC and they used to format it very often to get the standard speed. Definitely, formatting MAC computer would be the simplest solution but you can't do that task all the time, right? Most obvious thing you can do to boost MAC OS loading time, is by loading MAC with minimal set of Login items. You can do so by going to System Preferences > Users & Groups. Disable widgets that is not needed or you are still OK without using that widgets. Doing this will slightly improve the memory load as well as the processing power. c) Again, write killall Dock and hit enter. Freeing up disk space will reduce the time to easily load, access and share files around the MAC computer. Your MAC computer invests the maximum time if your disk is filled up with unnecessary files. The simplest solution is to delete them or move them into removable media devices such as ext. hard drive, memory card, flash drive etc. It's all up to you to choose which file you want in your computer and which files you've to move from computer. Apps are the heart of any Apple based computer which might provides you with bunch of functionality and features. Definitely, you need them whenever you are using your computer. Probably, there are few apps which you don't use or use randomly. Consider removing it, at least for the time being to avoid freezing and hanging. There are tons of apps such as Uninstaller, which guides you through removing unnecessary apps with a single click. Every modern computer needs external tools and utilities to monitor and maintain the system consistency as well as operating speed. CCleaner is the best tool that I had ever come across. The best part is, you can use this for Windows and for your MAC computer. After installing, you can use this weekly or monthly to clean cache, junk files, browser cache without navigating separately for each to delete them. Upgrading system configuration such as increasing RAM modules, lightweight OS, latest processor are the best options which can helps you to meet system requirements with latest running apps on your MAC computer. If your slow MAC started to annoys you while retrieving files inside the hard drive or hangs and shows hard drive related error messages, then it's time to go for SSD (Solid state drives). It'll costs you a bit money but greatly helps you in getting high performance MAC computer as well as ensures you to stay away from any system level failure and never loose your precious data. SSD contains several micro chips in serial format and store data accordinly in a highest speed and allows to instantly access huge files. Though, once it fails you are not supposed to get your data back as data recovery process is much more difficult from SSD rather than HDD. As like 'Tast Manger' of Windows OS, MAC also have a great utility called 'Activity Monitor' which constantly running in the background and lists all the processes that are currently using MAC system resources. You can find this under utilities folder to check list of junk processes that hugely requires your MAC computer resources. You may kill them instantly by clicking on End Process tab option. Any incompatible process can kill your computer speed and gives you freezing and hanging problem. So, that's all i have but most welcome other suggestions from you all using the comments section below. Next time, I'll come up with some different unique ideas to help you keep using your MAC computer in hassle free way. With the growing concerns over internet security, it is imperative for every business to protect their personal and business information from hackers. This is where the requirement to use Virtual Private Network (VPN) services chips in. However, with this requirement comes the most difficult part - how to choose the best service provider. With so many options to out there, choosing the best service provider is a daunting task. However, the following tips may come in handy if shopping for the best service provider. The first major consideration should be the server VPN locations. When selecting VPN services, it is imperative that you consider the geographical locations of the servers. This is of utmost importance especially if you travel a lot. Servers that are located close to your business premise usually have lower latency. A VPN server located far away may result to a slow connection, something that may adversely affect your business performance. Along side that, you should consider the VPN protocol that the service provider offers. This is because some protocols are more secure than others. The mere fact that you are paying for VPN services means that you are feeling unsafe and are looking for protection while online. In that regard, the service provider should offer protocol protections like OpenVPN, SSL, L2TP, SSTP among others. Besides that, you need to factor in the cost of the service when searching for a service provider. As a thumb rule, do not pay anything more than you need to in order to access VPN services. The bottomline is that the more bandwidth you need every month, the more the service should cost. Most providers provide different price options. A reputable service provider should charge considerable prices without compromising on the privacy and security you need while online. Depending on what you will be using the service for, performance is another factor that should be given a lot weight. In this respect, one of the most important aspects should be the provider's speed of execution. A good way to do this is to check the number of IP addresses available. The number of IP addresses they have reflects the number of VPN connections they can handle. A reputable service provider will allow you a trial period to test the efficiency of their service. This is another important thing to consider as well. It is a clear indication that they have faith in the package and that they are capable of providing top-notch services. On the same breath, they should offer a money back guarantee; another clear indication that they have faith in their service provision. In addition to the above, a dependable VPN service provider must also guarantee privacy. They must have adequate and latest technical infrastructure that will keep away unauthorized persons from accessing your data. With the continued growth of free public internet access, it is imperative to choose a service provider that has the technical skill to keep your data private. Choosing the best VPN services is a challenging task that requires a lot of thinking and analysis. Even though choosing a personal VPN service could be a daunting task, you may make it simpler by considering the above outlined tips. This guest post article is written by Maya on behalf SwitchVPN, fast, safe and personal VPN service.